The Gyeonggi International Ceramic Biennale (GICB), which celebrates its tenth edition in 2019, is expected to undergo significant changes, especially in regard to its "international competition". The GICB aims to establish a platform dedicated to promoting communication and exchanges between artists and the public. The upcoming biennale will present diverse programs such as the academic symposium and workshop in a comprehensive, multitiered format within the framework of the international competition, as opposed to the past in which the biennale hosted programs individually. The GiCB International Competition 2019- as an exhibition is a gateway for newly emerging artists to acquire a presence in the global art scene- will offer diversified support programs that will help artists expand their world view. It will continue to retain its tradition as a "competition", though with improvements in institutional arrangements including application conditions, exhibition format, screening criteria, and support programs, yet simultaneously aim to present a new paradigm for art events, as an "international exhibition" leading the trends in ceramics and an "art forum" bringing together workshops, performances, and seminars. Ceramic works in the form of a vessel, even if they were produced as artworks and do not serve any practical function, are categorized as "Ceramics for Use"
There are neither age nor nationality restrictions. Applicant may apply as an individual or as a team (One (1) team is equivalent to one (1) individual applicant). Applications must submit a portfolio with works created within the past three (3) years. * Portfolio must include at least (1) entry that is available for exhibition. * This one (1) entry shall not have previously received an award in another competition, either domestic or international. * Failure to meet any of the above requirements will result in disqualification in the screening process. In the event than an award-winning entry is subsequently revealed to have failed to meet the above requirements, prize may be retroactively reclaimed. Exhibition space of each individual artist shall be no longer than 500 cm (w), 500 cm (l), 250 cm (h). Cass Johnson, Executive Director of the District Clay Center (DCC) in Washington DC, just announced a new, expanded residency program for Post BAC/MFA students. Beginning in August, the DCC will have openings for three resident artists for one year terms. Each artist will get a 8" x 11" private studio, an $800 per month stipend, 500 lbs of free clay and firings, and will participate in a final closing show in the District Clay Gallery at the end of their residency. Residents are asked to contribute 20 hours per week of assistance to the Center. The District Clay Center is a new ceramic center in Washington DC. Housed in a 6,400 square foot facility, they offer classes to over 275 weekly students, an artists program for up to 45 ceramic artists (24/7 access), conduct regular workshops and intensives with nationally known artists, have opened a 500 square foot gallery with nationally curated exhibitions. In terms of equipment they have a gas kiln, two electric kilns, a raku kiln, a glaze test kiln, a spray booth, 18 wheels and a separate hand building area. Visiting Artist/instructor at SUNY New Paltz. The deadline for this was May 15th but it is open until filled. They are looking for a visiting artist-in-residence and instructor for Fall 2018. This position is intended to allow the resident the time and space to pursue a body of work in our expansive and energetic studio, while enhancing the Ceramics Program and the Art Department at SUNY New Paltz through teaching and mentorship. The position is for one academic year, beginning August 2018, with the potential for renewal for a second year. Application Deadline: Applications received by May 15, 2018, will be given full consideration. The position will be open until filled. Please feel free to contact Anat Shiftan shiftana@newpaltz.edu and Bryan Czibesz czibeszb@newpaltz.edu with any questions. The Art Department at SUNY New Paltz is uniquely enhanced by the location of the University in the heart of New York's historic Hudson Valley region. The initial home of the nineteenth-century Hudson River School of Painting, the region continues to be an active site of cultural opportunities with many artists and artistic organizations in residence. The proximity of New Paltz to New York City (80 miles) provides students with a wide range of artistic and educational opportunities. The Ceramics programs include approximately 15 BFA majors and 6 MFA candidates. Carbondale Clay National XIII: Out of the Mold is currently accepting applications! We’re writing to let you know of an exciting opportunity happening here at the Carbondale Clay Center, and are hoping you’ll pass it along to colleagues, students, friends or any one you know that might be interested. Our national juried exhibition the Carbondale Clay National XIII: Out of the Mold is currently accepting applications until May 18thby 5 PM MST. The theme for the Clay National is “Out of the Mold”. The concept of this juried exhibition is to investigate what is happening currently in ceramic art. Slip casting, press molding, or sprigging; plaster molds, bisque molds, or just clay pressed onto an object. These are all techniques requiring molds. 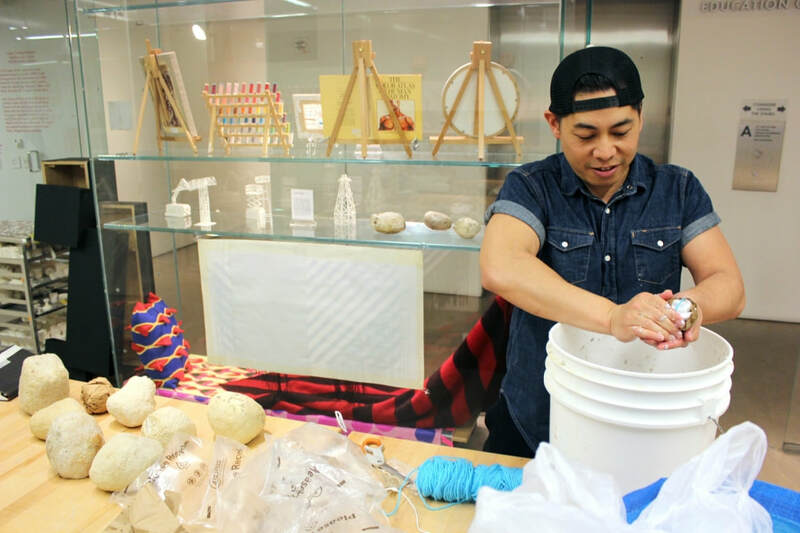 How are artists finding new ideas and ways of working through the use of molds? Pottery, sculpture, wall tile, or mix media work will be considered. Carbondale Clay National XIII will be juried by Andrea and John Gill, both internationally recognized ceramic artists. Go to our website at http://www.carbondaleclay.org/clay-national-xiii/ to apply. Please email studio@carbondaleclay.org or call (970) 963-2529 for any questions. Watershed (Newcastle, ME) is accepting proposals from artists interested in organizing and leading a summer residency session in 2019. As an Artists-Invite-Artists (AIA) Session Organizer, you get to shape a two-week creative retreat at our Center without the pressure and preparation involved in leading a typical workshop. AIA Organizers develop a session theme related to clay or artistic practice and recruit a minimum of four and up to eight artists to join the session as invited participants. As the session organizer, you come for FREE and your invited artists receive a discount on their residency fees. Boston Valley Terra Cotta in Orchard Park, NY is currently looking for student interns for the summer to fill positions in the mold shop, and as finishers (modeling) and mold pressers. These jobs are wonderful opportunities for students who are interested in ceramics to work in a ceramic manufacturing environment and experience the scale and stages of processing architectural terra cotta. Please contact Eva Valo evam@bostonvalley.com for inquiries. The School of Art, Design and Art History at The University of Tulsa, Oklahoma, seeks applications for a full-time visiting faculty position in the area of Ceramics and Three-Dimensional media, for the 2018-19 academic year beginning in August 2018. Salary and benefits commensurate with experience, teaching and current professional status. Snow Farm Summer, a residential intensive studio arts program for high school kids in Williamsburg, Western Massachusetts. It has employed several instructors who are Alfred graduates in the past, and several of their students have entered Alfred as undergrads. 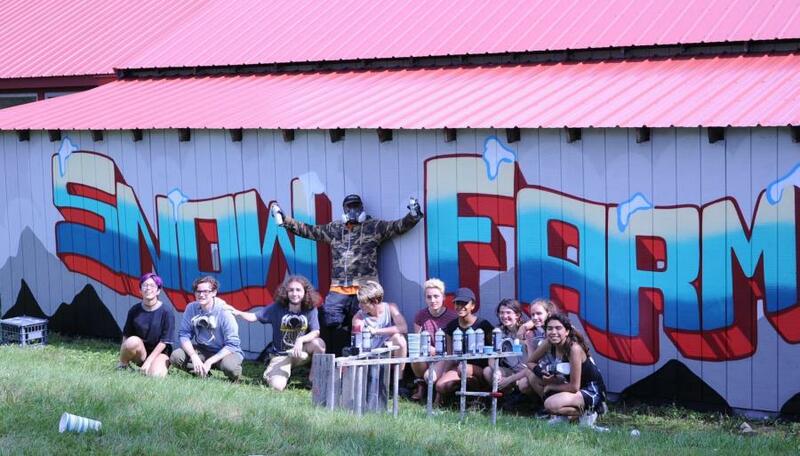 Snow Farm is currently looking for an instructor for their ceramics program. 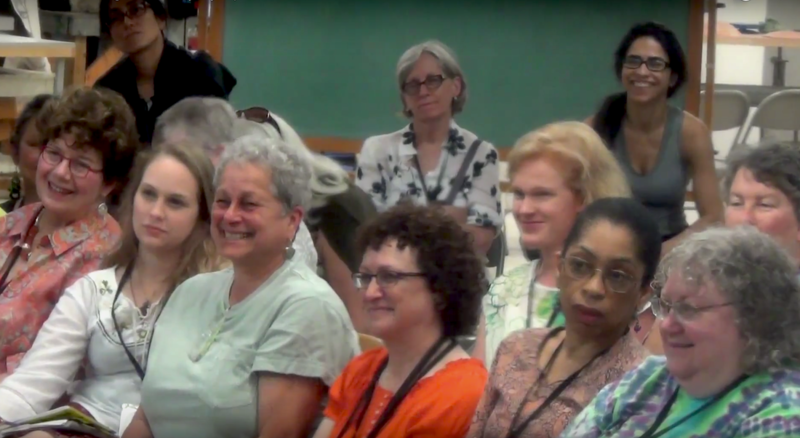 Instructors co-plan and co-teach 2 two-week sessions from July 1-28. Snow Farm is a great place to get teaching experience, and, as they offer year-round adult programs, a great place to get acquainted with if you would like to teach in the long term. Snow Farm is an inspiring place to work with dedicated kids from all over the country. Class sizes are small, facilities are great, the setting pastoral, and instructors tend to come back year after year. This symposium explores the connections of the long history of women in cultures all over the world as vessel makers, artists and artisans. 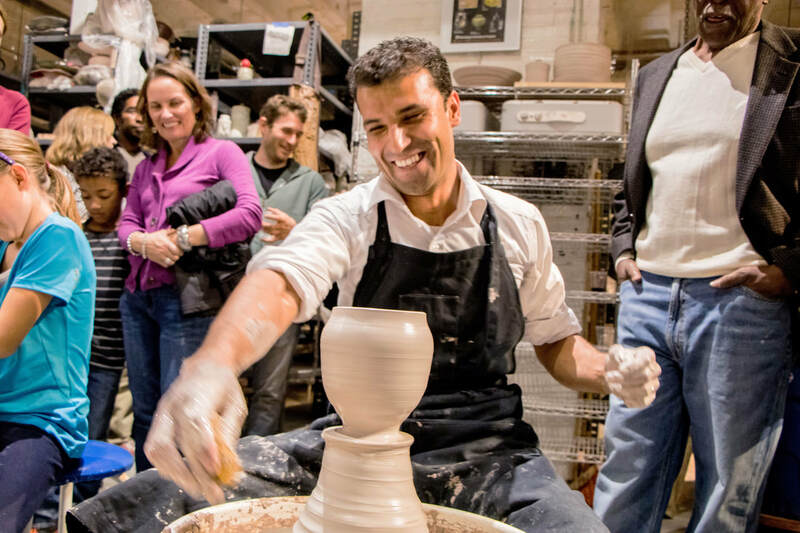 Included are lectures, small group discussions on various topics and demonstrations featuring figurative sculpture, making pottery on the wheel, altering thrown pots, hand building sculptural vessels, as well as decorative, glaze, and finishing techniques. Exhibition July 5 - August 5, 2018. ​The Artist Studios Program hosts artists and designers daily in a live studio environment. Artists and designers are selected for a six-month session (February–July, August - January). Each artist is assigned one day each week to work, along with a selection of Thursday evenings. 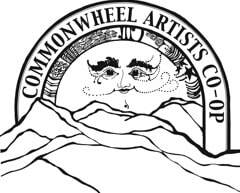 Artists receive a daily honoraria of $125. Artists have access to a variety of tools and materials, as well as the museum galleries, and are given professional development opportunities throughout the year. Selection is conducted by a committee of eight to twelve museum staff members and outside professionals in the fields of art, craft, and design. Applications open twice a year. Applications are now open for Cycle 30 of the Artist Studios Program from August 2018 – January 2019, offering opportunities to six daily artist residents and one full-time Fellow. The Mendocino Art Center's Artists in Residence (AIR) Program brings both emerging and established artists from all over the country to a unique art center on the rural Northern California coast. The location provides tranquility and inspiration in a community full of local artistic talent. 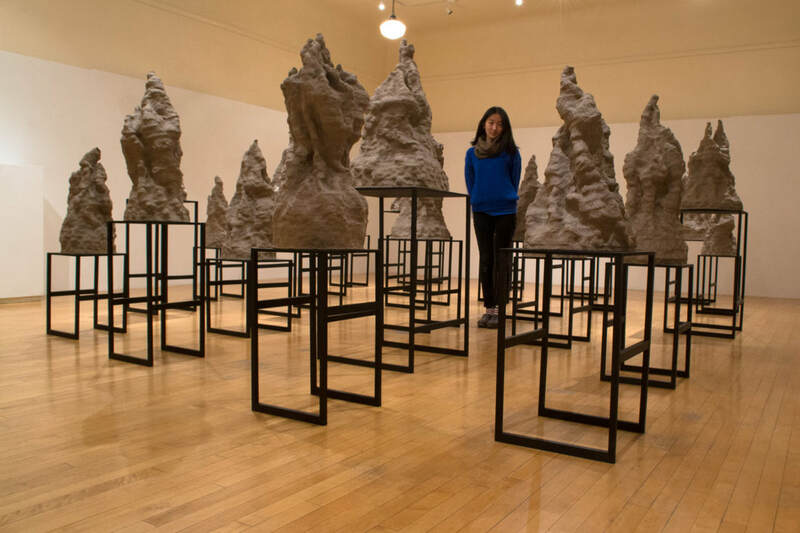 The University of Oregon's Department of Art is accepting applications for a tenure-track faculty position in Ceramics. This position is at the rank of Assistant Professor and the salary will be commensurate with experience. Start date is September 2017. We are seeking a colleague with a dynamic approach to creative practice and pedagogy that will contribute to an established and progressive art department. Candidates should demonstrate knowledge and experience in teaching a range of traditional, experimental, and extended forms within the field of Ceramics. The successful candidate will possess a broad knowledge of scholarship, including critical histories and theories related to Ceramics and the field of craft within the larger context of contemporary art. The competitive applicant should have a research and creative practice that is grounded in Ceramics, with fluency in interdisciplinary and experimental approaches. The candidate will exhibit an ambitious professional record that indicates a commitment to a sustained and evolving creative practice. The candidate must be able to work cooperatively with diverse faculty and student populations. This position requires experience in teaching beyond graduate school, a MFA or equivalent degree, and an active professional practice. Primary teaching responsibilities will be focused in Ceramics with opportunities for teaching across media areas, including graduate seminars, advanced studios, and foundations. All of the Department of Art faculty contribute to the interdisciplinary graduate program. The University of Oregon operates on a system of three, 10-week quarters with 1 additional week for final exams. Faculty in the Department of Art have a teaching load of five courses per year. 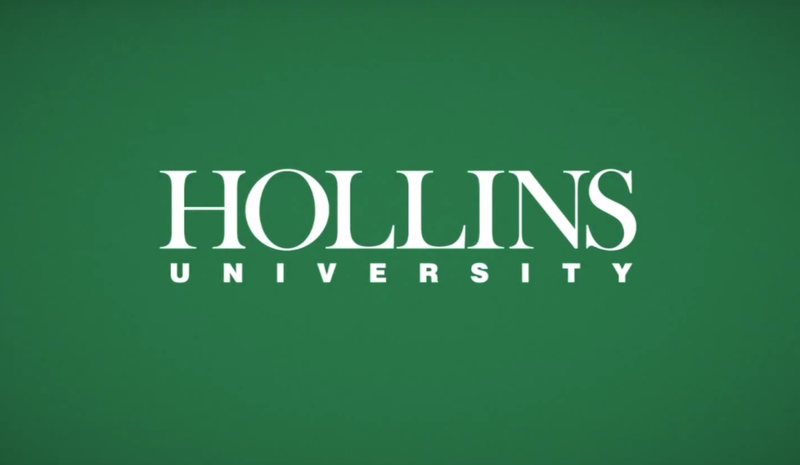 The candidate will work collaboratively with another Ceramics faculty member to oversee the Ceramics area, which includes curriculum and facilities development, and the supervision of a 1.0 FTE lab technician, student employees (undergraduate and graduate), and nontenure-track faculty. Service responsibilities include various departmental and school committees, as well as student advising and participation in shared governance. The candidate will be expected to maintain an ambitious professional record that indicates a commitment to a sustained and developing creative practice. The Ceramics area (http://art.uoregon.edu/ceramics) has a dedicated studio technician who supports a broad-based, technically comprehensive facility. The area resources extend through the department and School of Architecture and Allied Arts to include laser cutters, 3D printers, CNC routers, multiple wood shops, metal shops, a plastics shop, a motion capture lab, physical computing shop, printing services and computing labs. The University of Oregon supports faculty by providing a dedicated studio space and a fund for professional development. Additionally, the Pacific Northwest and the state of Oregon have a vibrant range of accessible funding, opportunities, and resources for artists. Management. With roughly 500 undergraduates and 30 graduate students, the Department of Art offers BA/BS, BFA and MFA degrees; the curriculum encompasses ceramics, art & technology (print media, animation, video and interactivity), fibers, jewelry and metals, painting and drawing, photography, printmaking, and sculpture. The Department includes 20 tenure-track faculty and 12 Career Instructors. The University of Oregon is an AAU Research I institution and has over 24,000 undergraduate students and approximately 4,000 graduate students. The UO is known for its spirit of cooperation and collaboration, and for its ability to provide a variety of personal and professional opportunities that enrich the academic community. The University actively supports an institutional commitment to diversity and multiculturalism. 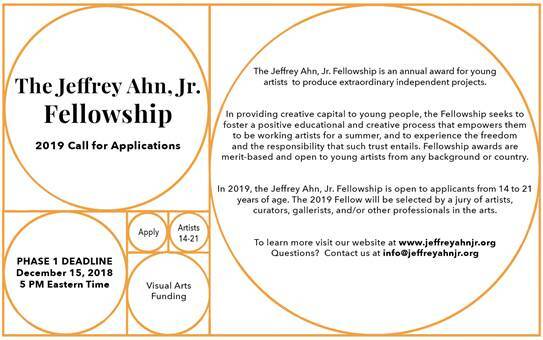 Through this search, the Department of Art seeks to further this commitment and strongly encourages applications from women and underrepresented groups. The University of Oregon is located in Eugene, Oregon’s second largest city. Located 110 miles south of Portland, the Eugene metro area (pop. 216,000) is in a region noted for its dynamic quality of life and progressive cultural environment. Within only an hour’s drive are ocean beaches, lakes, rivers, forests, high desert, and the Cascade and Coast mountain ranges. Review of applications will begin February 3, 2017. While the position will remain open until filled, please submit application materials by February 3, 2017 to ensure consideration. No incomplete applications will be reviewed. Application: A complete application must include a cover letter outlining specific interests and qualifications, a CV that includes activities related to one's art practice and teaching (i.e. courses taught, service, etc. ), an artist statement, a teaching philosophy, 20 images of he candidate’s own work, 10 images of student work, and an image identification information describing the title, size, media, date work was completed and project details, and in the case of student work, include the course title. A list of three references must be submitted at this time, with the possibility that reference letters and syllabi may be requested at a later date.